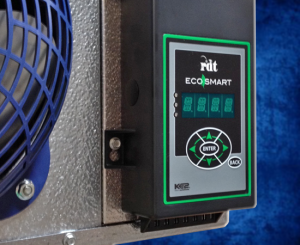 The Eco-Smart is an energy saving refrigeration controller for walk-in freezers and coolers. This controller provides on-demand defrost, remote monitoring and diagnostics for new equipment or the upgrade of existing refrigeration equipment. The Eco-Smart controller is just one of the many ways that RDT and CR Peterson can help you get the most out of your foodservice business. For more information about RDT Refrigeration please contact us!